Posted on Май 12, 2016 by Татьяна Н.
Топики (тематические тексты) для тех, кто изучает английский язык в школе (5-6 класс). 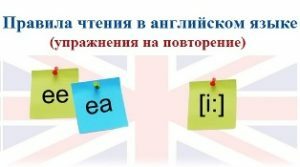 Вторая часть (продолжение). В первой части вы найдете Тексты (топики) по следующим темам: About myself. My family. My friends. My school. My birthday. My day. How I help about the house. My hobby. My pet. К каждому тексту предлагаются слова для повторения темы, вопросы и задания. Мои любимые животные. My favourite animals. Моя любимая книга. My favourite book. Поход в каникулы. Camping Holidays. I like animals. I can see wild animals at the Zoo. It is interesting to watch monkeys, elephants, crocodiles, foxes, bears and other animals. I like films about animals. I have read a lot of books about bears because I like bears most of all. Bears are huge. They can be white and brown. The white bear eats fish. It lives in the Arctic. The brown bear lives in the woods. It likes honey and sleeps in the lair (берлоге) sucking its paw in winter. I like reading because I learn a lot of interesting things from books. But most of all I like adventure stories. My favourite book is «The Adventure of Tom Sawyer» by Mark Twain. It is a story about an American boy and his friends. Tom is inventive and brave. He is always full of ideas. He has a lot of adventures on the Mississippi River. The book teaches us to be kind and friendly, honest and brave, to be a true friend. I really enjoyed the book. Winter, spring, summer, autumn are the seasons of the year. December, January and February are winter months. The weather is cold. It usually snows. The days are short and the nights are long. The rivers and lakes freeze and we can go skating and skiing. March, April and May are spring months. Spring is a nice season. The weather is warm. There are many green trees in the streets and in the parks. The sun shines brightly. The birds sing songs everywhere. June, July and August are summer months. In summer it is usually hot. The sky is blue. The days are long and the nights are short. There are many flowers in the parks and gardens. There are many berries in the forests. September, October and November are autumn months. The weather is cool. It often rains. The days become shorter and the nights become longer. The birds prepare to fly to the South. You can see yellow, red and brown leaves on the trees. I like winter because I have long winter holidays. They start on the 29th of December and last till the 10th of January. The weather is usually fine. There is a lot of snow everywhere. During winter holidays I have a lot of free time. I don’t have to get up early and go to school. I like to skate and ski. Sometimes I go to my country house and meet my friends there. We spend a lot of time in the open air, go to the forest, build snowcastles and play snowballs. If it is cold, I usually stay at home. I read books, watch TV or play computer games. Also I like my winter holidays because we have a happy day – New Year’s Day on the 1st of January and I get presents. Sometimes my parents and I travel during winter holidays. Last year we visited Suzdal. We stayed in a hotel for three days. I saw many places of interest in Suzdal: wooden houses, beautiful churches and monasteries. It was a very impressive trip. I like my winter holidays very much. I like summer holidays very much. In summer it is warm and I have a lot of free time in the open air. I usually spend June at the seaside. In June I usually go to a camp. I like spending time there. We play sports, swim in the river and go to different clubs. There is a forest near the camp and we always make a campfire once a week. In July my parents have a vacation and we go to the seaside. Usually we go to the Black Sea. I like to swim in the sea and spend time on the beach. In August my parents go to work and I go to the country. We have a country house where my grandparents live. I help them in the garden. I pick up apples and plums, water vegetables. We often go fishing with my grandad or pick up mushrooms in the forest. I have a lot of friends there. We ride bicycles or play games. I have a nice time in the country. Summer is my favourite season and I enjoy my summer holidays very much. Last summer I went camping with my dad. We took rucksacks, two sleeping bags, a tent, a map, a compass, torches, and, of course, matches. First, we got on a train. When we got off the train, we walked through the woods to the lake. Then we put up a tent and made a campfire. We caught a lot of fish and cooked it on the fire. I slept well and mosquitoes didn’t bite me. I enjoyed the day very much. For breakfast English people often have porridge with milk and sugar. They don’t eat much bread. They usually have toasts. They enjoy drinking strong tea with milk. At one o’clock English people have lunch. They usually have lunch in a restaurant or a cafe. On a warm sunny day you can see people under the trees on the grass eating their sandwiches. English people don’t eat much soup. There is only one kind of soup on the menu: onion (луковый), tomato (томатный) or mushroom (грибной). For the main course (на второе) they have fish, steak or roast beef with vegetables: carrots, cabbages, beans or potatoes. Five o’clock tea is a national habit. English people have tea with biscuits, apple pie, fruit or fruit salad or sandwiches. At about seven or eight o’clock they have dinner or supper. It can be soup, sometimes meat and vegetables, macaroni (pasta) and cheese. The English people drink little coffee. Tea is their favourite drink. I like sport. That’s why my favourite lesson is P.E. My favourite sport is …………. (your variant). I play for my school team. We are a good team. We often win in competitions. It is not easy (легко) to win. Every day I go to the gym and practise. I also go to the sports club. Every morning I run in the park with my friends. I want to be a sportsman because I like to win. Повторить слова по теме «Sport». People wear different clothes. When it is cold, people wear coats, jumpers, trousers and boots. When it is hot, people wear T-shirts, shorts and light dresses. Some people like to wear comfortartable clothes, others prefer fashionable one. There are clothes for boys and girls, for men and women. But everybody likes to wear jeans. Also there are clothes for sport. It is a tracksuit and trainers. As for me, I like to wear _____ (your variant). I always wear________when ________ (your variant). Повторить слова по теме «Clothes». The UK is situated on the British Isles. It has 4 parts: England, Scotland, Wales and the Northern Ireland. England, Scotland, Wales are called Great Britain and are situated on the island called Great Britain, too. The climate of Great Britain is mild. England and Ireland consist mainly of plains. Scotland and Wales have mountains. There are many rivers in Great Britain. The main river is the Thames. The longest river is the Severn. The capital of the UK is London but there are many beautiful towns and villages. There is a saying: If a man is tired of London, he is tired of life. 1. Complete the text with the words dangerous, friendly, sharp, huge (large), delicious, fast, body, skin, legs. The shark is a sea animal. It is very ________. It can kill other sea animals and people with its _______ teeth. It’s got a ______, long body and rough _____. Half of its _____ is white and half is black. The dolpin is a sea animal, too. It is very _______ and it loves to swim in front of _____boats. It’s got a long, thin body and smooth _____. It’s got over one hundred teeth. The crab has got a shell on its body and ten _____legs. They have got two ______ claws for fighting. They are a very _______ meal for octopuses, fish, seals and people. Прилагательные big, good, bad, nice — очень простые. При описании лучше использовать более интересные слова: large friendly delicious long dangerous huge Прочитайте текст ниже и замените прилагательные big, good, bad, nice на более интересные. ПРИМЕР. Crabs have got a shell on their bodies and ten long legs. Crabs have got a shell on their bodies and ten big legs. They have got two big claws for fighting. They are a very good meal for octopuses, fish, seals and people. Whales are big sea animals. They aren’t bad animals and usually they’re very nice to people. 2. Answer the questions, using the words the mountains, the river, the desert, the Arctic, the jungle, the ocean, keep as a pet. Where do the polar bear live? Say what pets your friends and relatives have. Can you decribe an animal? Do you think it is good to keep animals in the zoo? Why? Why not? 1.1. Complete the letter with the words: favourite, character, adventures, sailor. This summer I’ve read a book by Conan Doyle. Its ______ is “The Hound of the Baskerville”. Conan Doyle is a _______ writer. He wrote _______stories. I liked this book ______from the very beginning. The main ________ of the book are Sherlock Holmes and Doctor Watson. The ______of this book is very exciting. Sherlock Holmes was a ______ detective and found the murderer using his deductive reasoning. I enjoy the way he did it very much. I began to read this book in June and ______it in August. It was very ______ for me to read this book, because I learnt many new English words. Now I’m going to read one more English book. What kind of books do you like (prefer) reading? Can you name the titles of some stories? Do you like travel books? Why? Why not? Have you got any favourite books, authors or favourite characters? Have you got a favourite writer? Did you like fairy tales when you were little? What kinds of book do you dislike? Why? There are 4 _____ in the year: winter, spring, summer, autumn. In Russia ______ three winter months. They are ______, ______ and February. Spring months are _____ , ______ and May. Summer months are ____, ____ and August. Autumn months are ____, ___ and November. My favourite season is summer because I like to _______ in the river. I like to _____ a bike, too. It is sunny and ______ in summer. And I have _______ holidays. It’s great! What season is between (между) winter and summer? What month comes after May? before August? What is the first month of winter? of summer? When does spring start in Russia? in Great Britain? When does autumn finish in Russia? in Great Britain? What month does the school year in Russia start (finish)? 1. Complete the text. Use the words: at home, made, skate, holidays, skied, snowbals, enjoyed, fine. I spent my winter_______________in the country. The weather was ___________. I ______________in the forest. My friend and I went to the river to __________. Sometimes we played _____________ and ______________snowmen. When it was cold I stayed______________, read books, ______TV. I _______my winter holidays. 1. Read the poem. Then say why children like holidays. Use the poem. No grammar in summer, No lessons, no tests, No English, no Maths, no P.E. Just rivers and lakes, Swimming, bathing and sailing in the deep blue sea! In Russia children have holidays in spring, summer autumn and winter. Summer holidays are the _________. They begin in June and _______ in August. I like summer holidays ______. My parents, my sister and me like to travel. Russia is a big _______ and has a lot of interesting places to ______. I want to ______you about my last holiday. Contunue talking. Use the questions as a plan. Where did you go on your last holidays? What activity did you enjoy most of all? Mr Lake and Mr River love outdoor activities and canoeing is their favourite. Last summer they ______ canoeing in France. They took a lot of ________with them. Mr Lake took _________and Mr River took __________ and a tent. One day they decided to spend a night in a beautiful forest by a lake. They left the _______on the lake but they forgot to tie it up to a tree. Then they _______the tent. Mr Lake went to the forest because he wanted to find some _____ for a fire. Next Mr River made a _______ and cooked some fish. After the meal they went to ______. There was a terrible storm that night but Mr Lake and Mr River didn’t wake up. In the morning they went to the lake but their canoe wasn’t there. Then they saw their _______ in the lake. Their paddles, helmets and life jackets were in the canoe. Luckily (К счастью), their mobiles were with them and they could call for help. Do you often go camping? When did you go camping last time? What things did you take with you? Where did you make a camp? Did you cook food on a fire? Did you sleep in a tent? Did you sleep well? Why? Why not? Do you like camping? Why? My favourite food is ………… . I would like to eat ……………. twice a day. I (don’t ) like……………… I usually (never) eat ……………………..for breakfast. I like fruit very much. Fruit is healthy. There are a lot of vitamins in ______, ________, ________. What sport do you play (do)? Where do you prefer doing sport: in the staduim or in the gym? Do you play for your school team? Does your team often win? Who is the captain of your team? Who is the best (the worst) player? Do you like your P.E. lessons? Do you go to sport clubs? What sports games can you play? Why is it good to be fit? Do you go to matches? What do you wear when it is hot? What do you wear when you go to P. E. lesson? London is the _______of England and the UK. It is one of the most __________ cities in the UK. It was founded by Romans. London ______on the river Thames. The English Queen lives in London. She lives in Buckingham _______. There are a lot of historical buildings, ______ and _______ in London. Millions of _______ from different countries visit the city every year. They go sightseeing, ______souvenirs and enjoy traditional meals. The most famous London ______ are Big Ben, the Tower of London and London Eye. London is ______ in parks and gardens. London’s parks are ______ of trees, grass and flowers. They are free for visitors. Each park is something special. Hyde Park is the largest park. It is _______ for its Speaker’s Corner (уголок оратора). There you can make a speech about what you like. St. James Park is famous for the ______of Buckingham Palace. This park is very beautiful with its flower beds. In all London’s parks you can take part in different activities. Londoners love their parks and ______ of them. Is London an old city? What London’s sights would you like to visit? Would you like to see Big Ben? What is Big Ben like? What is Buckingham Palace famous for? What London’s parks do you know? What each of them famous for? This entry was posted in Тексты на английском языке для начинающих и продолжающих and tagged Texts (topics) for beginners.